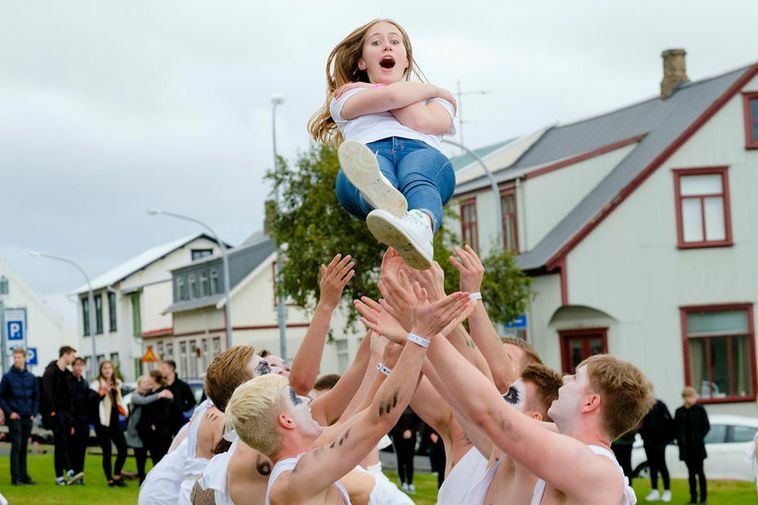 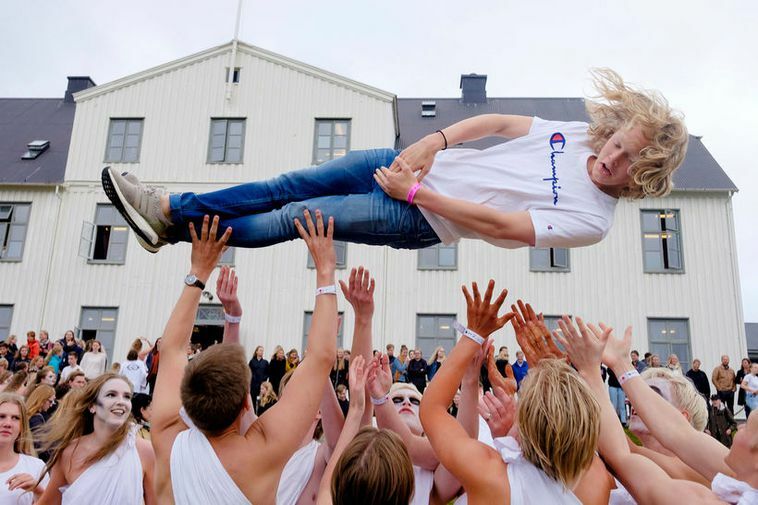 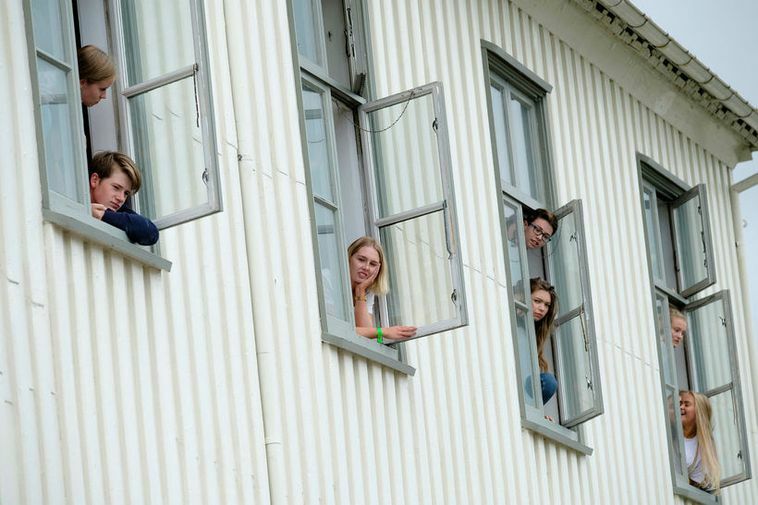 Freshmen were tossed in the air at Reykjavík Junior College yesterday, when their hazing ceremony took place. 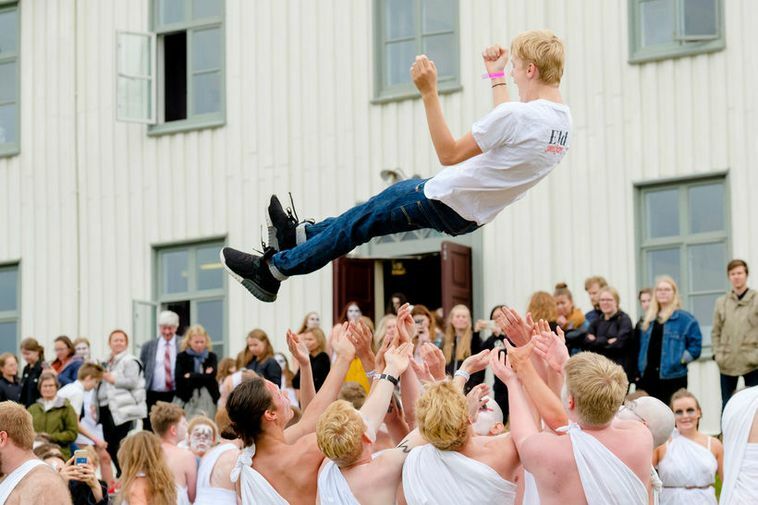 The age-old tradition at the city’s oldest junior college consists of groups of seniors, dressed as Romans, with white sheets wrapped around them, tossing each freshman in the air and catching them. 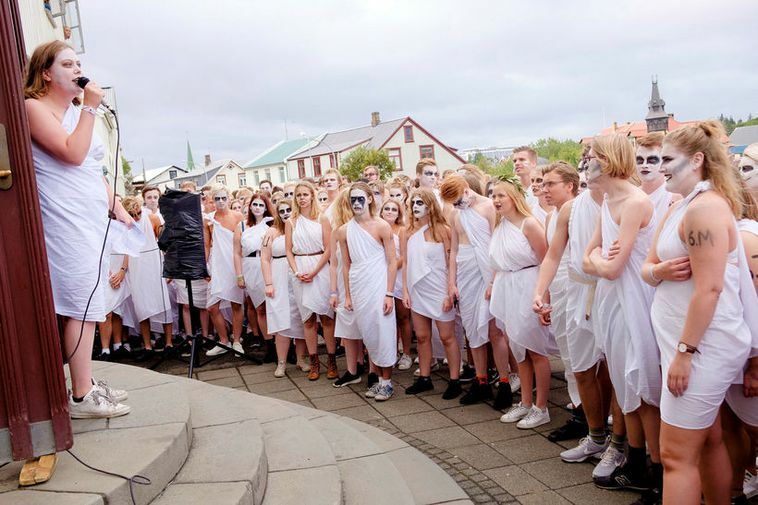 The celebration concluded with a dance in the evening. 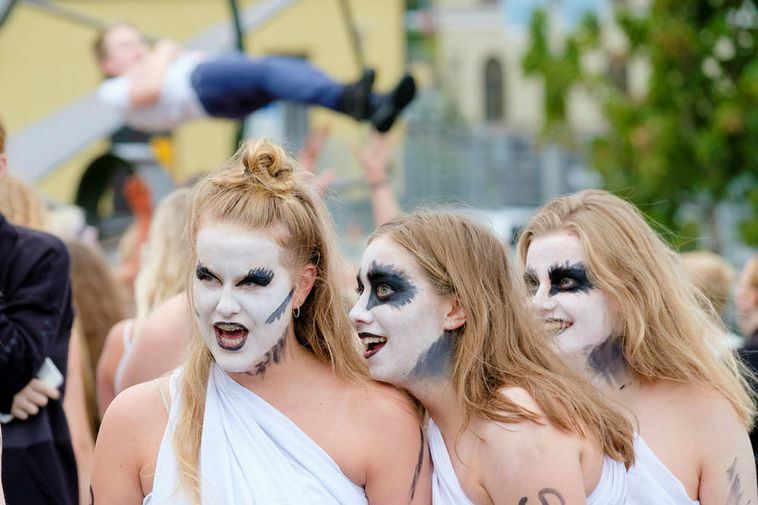 This, of course, is a unique photo opportunity, as you can see from the pictures above.